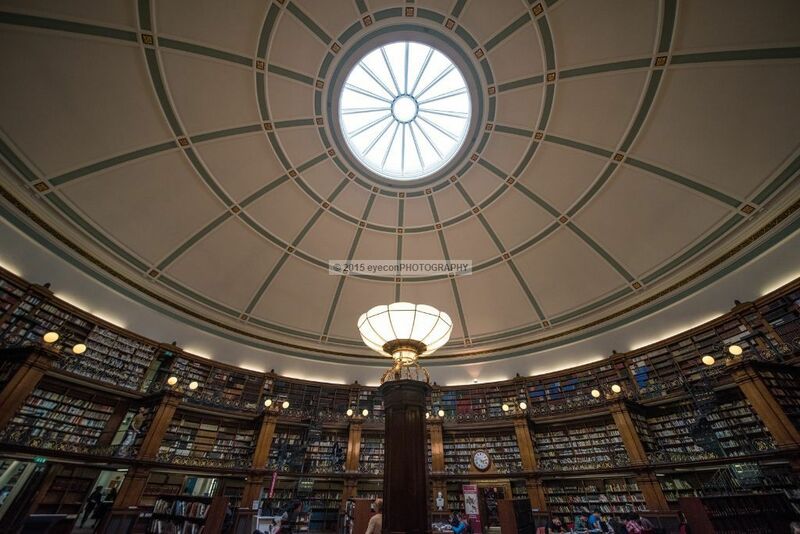 The world famous Picton Reading Room at Liverpool Library. The Chairman of the William Brown Library and Museum Sir James Picton laid the foundation stone of the Picton Reading Room in 1875. It was designed by Cornelius Sherlock, and modelled after the British Museum Reading Room, and was the first electrically lit library in the UK. It was completed in 1879. The front is semicircular with Corinthian columns, and the shape was chosen by the architect to cover the change in the axis of the row of buildings at this point.